AFAS education grants provide a sense of relief for a family of eight. 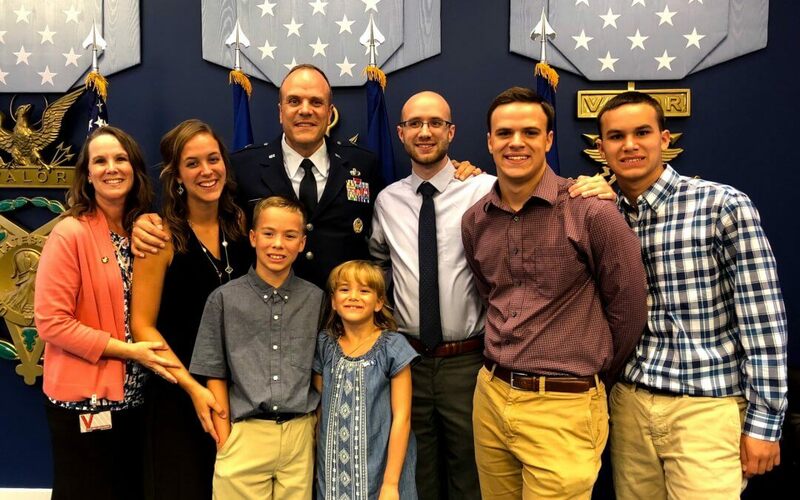 Brigadier General Michael Greiner, the oldest of three kids, was exposed to the military early in his life. His father served in the U.S. Army and did a tour of duty in Korea. When his high school guidance counselor suggested the U.S. Air Force (USAF) as an option to help pay for college, he applied to the ROTC program at the University of Portland (UP) and was awarded an Air Force scholarship. It was there at UP he was commissioned as an officer into the USAF. 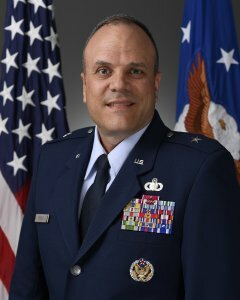 Brig Gen Greiner credits the military for providing unique opportunities for his career that have come with tremendous responsibility. He has served in operations Iraqi Freedom, Enduring Freedom, Unified Response, and Freedom’s Sentinel. “When we come together, we are very strong. We have a very focused mission, we serve our nation when they need us most,” remarked Brig Gen Greiner. It was as a squadron commander that he became more familiar with Air Force Aid Society (AFAS). He donated to AFAS each year and mentioned the Society as a resource to help his fellow Airmen. It wasn’t until his daughter was looking for scholarships for college that he too decided to do more research on AFAS to find out more about the educational grants and scholarships his daughter could possibly receive. “Like most families, we have to look for other avenues and resources for financing our children’s education. It’s especially challenging on a family when you have multiple kids in college at the same time as my wife and I,” said Brig Gen Greiner. Fast forward years later, Brig Gen Greiner’s daughter has received the AFAS Henry “Hap” Arnold Grant for three years and his son, who recently entered college, is also receiving the grant. For the Greiners this type of assistance has been welcomed considering they have six children and have started researching grant and scholarships for their third child who is now in high school. “As a Brig Gen, folks assume I should be able to pay for all of my children to attend college. The reality is, I have six children. They all have dreams. And my wife and I want to help them to achieve their dreams,” he shares. The financial assistance AFAS provided has helped to relieve the Greiner family’s anxiety and stress of worrying about how to pay for their children’s college education. “The AFAS grants we have received have been significant, it’s helped to bridge the financial gap for us,” confides Brig Gen Greiner.